The Papo Stegosaurus measures approximately 9 inches in length. The Stegosaurus is an armored dinosaur. "Stegosaurus" means "covered lizard." The bone plates along the back are used for protection and also to regulate temperature. 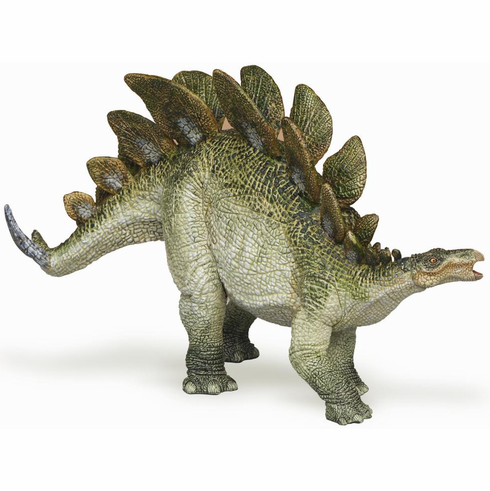 The Papo Stegosaurus #55007 is part of the Dinosaur Series by Papo. This is a hand painted figure. Made of durable synthetic material. Happy Hen Toys has one of the largest Papo dinosaur stores on the world wide web!